Appropriately, the new watch will be presented for the first time at the Salón Internacional Alta Relojería watch show in Mexico, held from October 16 to 18. 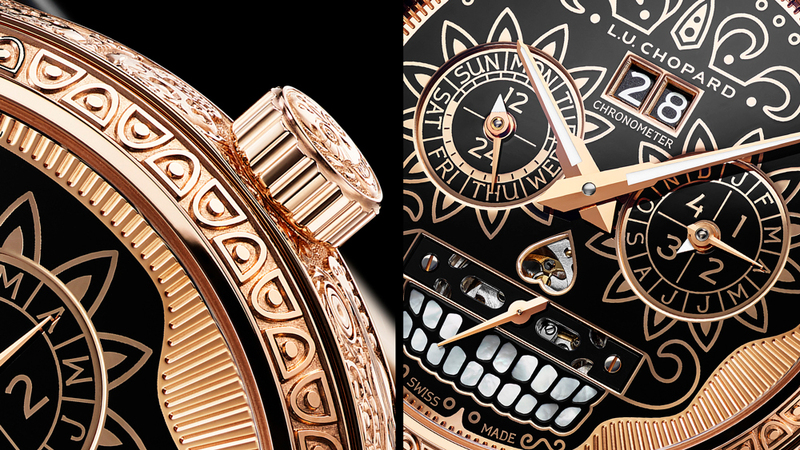 The watch is incredibly detailed, but the first thing that will catch your eye is its dial, which presents a stylised, Día de los Muertes–inspired Calavera skull over its hand-guilloched 18-karat-gold dial — somewhat similar in style to Fiona Kruger and her line of skull watches. The black varnished skull is decorated with floral- and sun-themed patterns, and its gap-toothed rictus is made from mother-of-pearl. 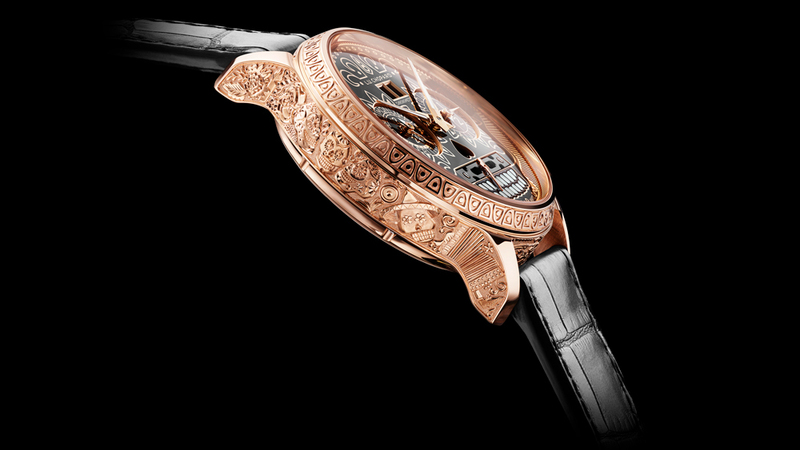 The tourbillon bridge serves as a moustache for the skeleton and allows glimpses of the mechanism below. 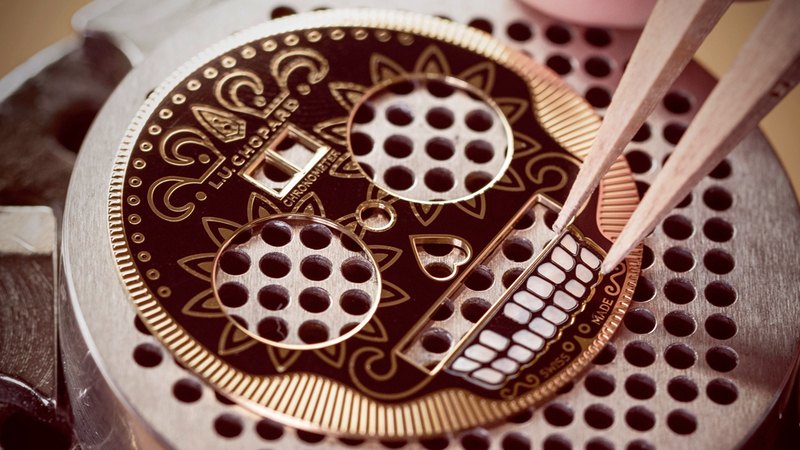 Thankfully, these playful elements help keep the watch from being too macabre. In addition to the aforementioned tourbillon, the L.U.C 02.15L calibre powering the watch is equipped with a perpetual calendar (as you might have gleaned from its name) whose subdials act as the skull’s eyes and a lengthy nine-day power reserve, courtesy of its four barrels. It has also undergone COSC testing to confirm it meets the official standards of a chronometer — meaning it keeps extremely accurate time. Luckily, this one-of-a-kind piece has arrived just in time for Halloween.